Ryanair's newly appointed marketing head Peter Bellew will take to Twitter today (16 January) to discover consumers' perceptions of the brand with a live Q&A session later this afternoon. The Twitter Q&A is part of a slew of new measures from the budget airline, including an Irish TV ad, aimed at improving customer service and communication with passengers, following increasing pressure from shareholders. Bellew, the former chief executive of Irish Cottage Club and internet company Wapprofit, joined the airline in 2006 as the deputy director of flight operations and was promoted to the head of sales and marketing last month. A director of sales and marketing at the airline will be appointed in the coming weeks and will report directly to chief executive Michael O’Leary, tasked with devising and implementing all sales and marketing activity for Ryanair’s brand, including communications. Ryanair’s O’Leary has traditionally eschewed the merits of marketing and advertising, previously declaring that "bad publicity sells more seats" and that that he is the company’s marketing director. But at the company’s last AGM O’Leary faced harsh criticism from disgruntled shareholders who claimed the airline’s poor customer service and harsh policies were hurting the business. O’Leary commented at the time, "We should try and eliminate things that unnecessarily piss people off," and, "I’m very happy to take responsibility if we have a macho or overly abrupt culture." He attempted to improve his and the business’s image in a #GrillMOL Twitter Q&A with mixed results, where he commented on women’s profile pictures. 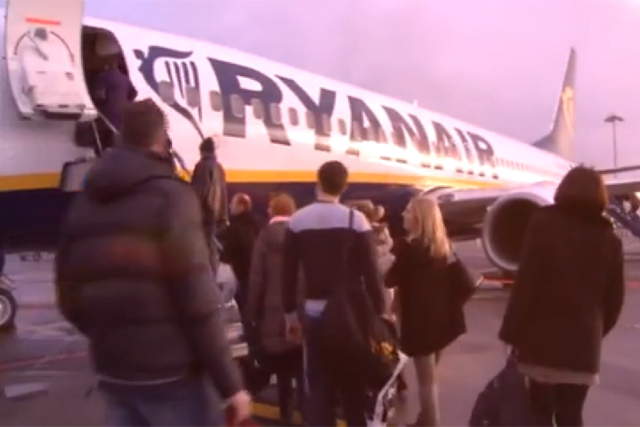 O’Leary’s latest attempt at communicating with his passengers comes in the form of the airline’s TV ad which aired in Ireland this week, which sees a smiling, friendly O’Leary talking to camera about the new Ryanair reforms.